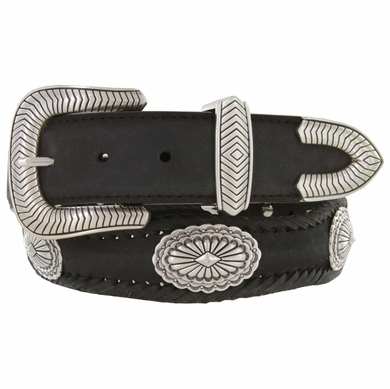 Southwestern Style Concos Western Leather Belt. Tapered from 1-3/8" to 1" Western Roped Edges Leather Belt. 5 Adjustment Holes for Comfortability. Comes with a Gorgeous Tool Designed Silver Plated Buckle.